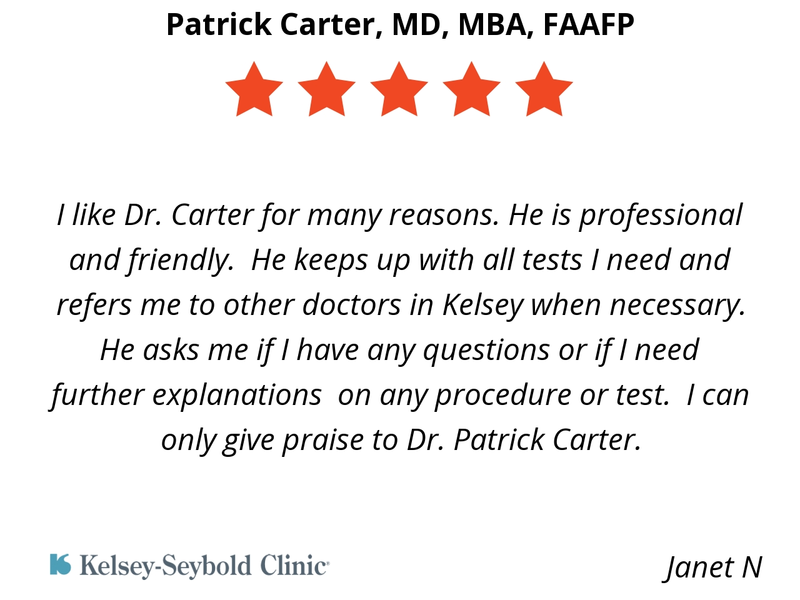 Dr. Carter has been my primary care physician for many years. 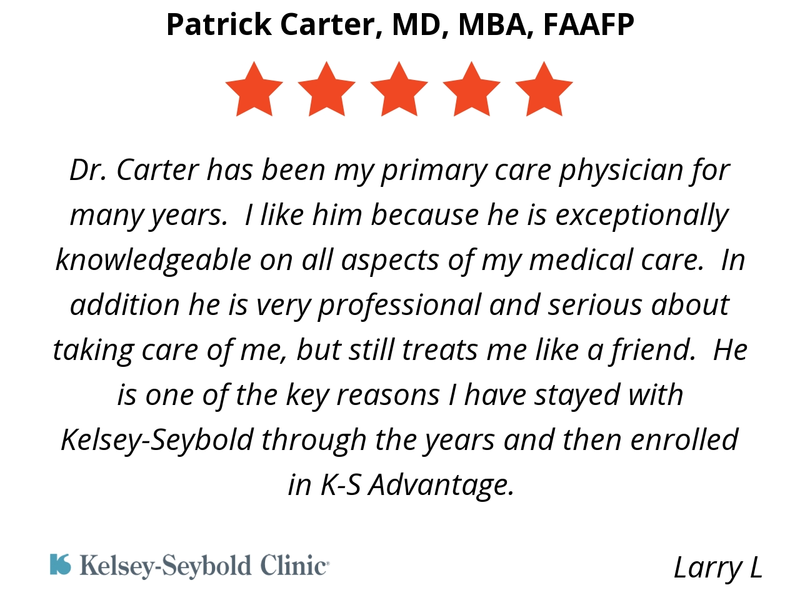 I like him because he is exceptionally knowledgeable on all aspects of my medical care. In addition he is very professional and serious about taking care of me, but still treats me like a friend. He is one of the key reasons I have stayed with Kelsey-Seybold through the years and then enrolled in K-S Advantage. 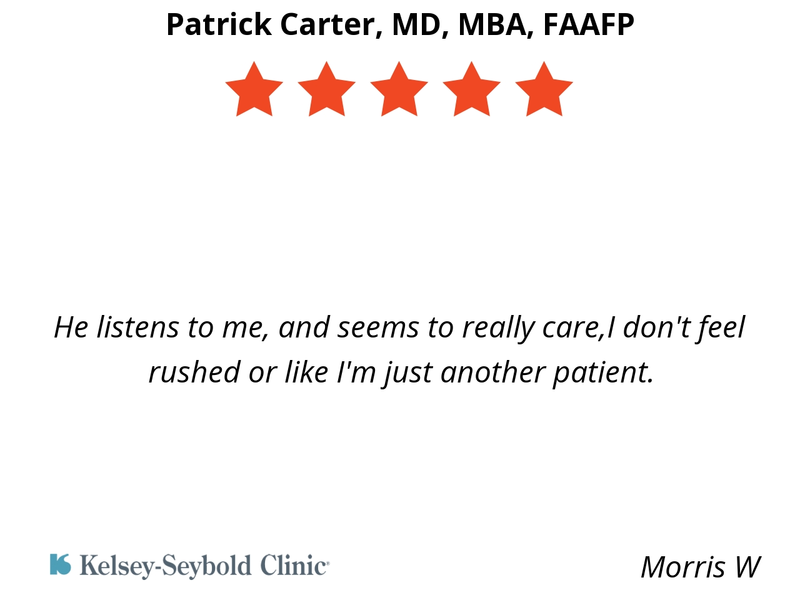 He listens to me, and seems to really care,I don't feel rushed or like I'm just another patient. I like Dr. Carter for many reasons. He is professional and friendly. He keeps up with all tests I need and refers me to other doctors in Kelsey when necessary. He asks me if I have any questions or if I need further explanations on any procedure or test. 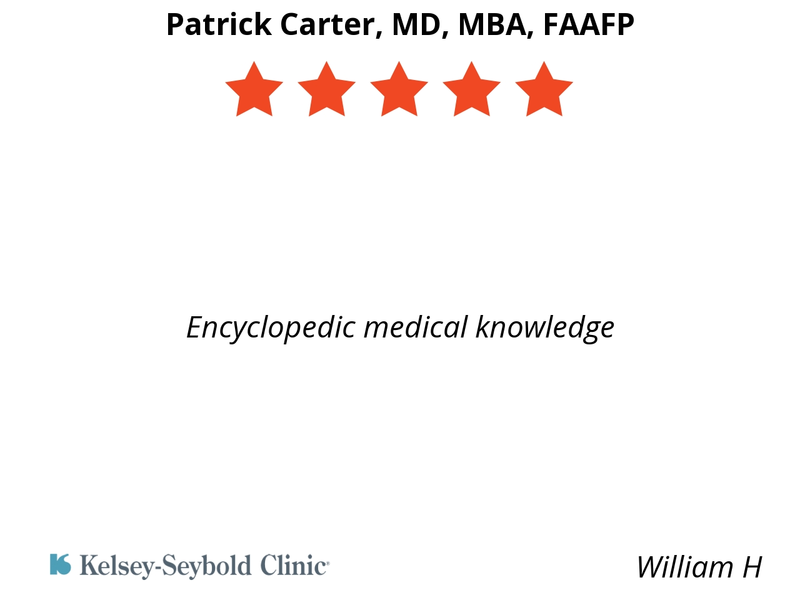 I can only give praise to Dr. Patrick Carter.